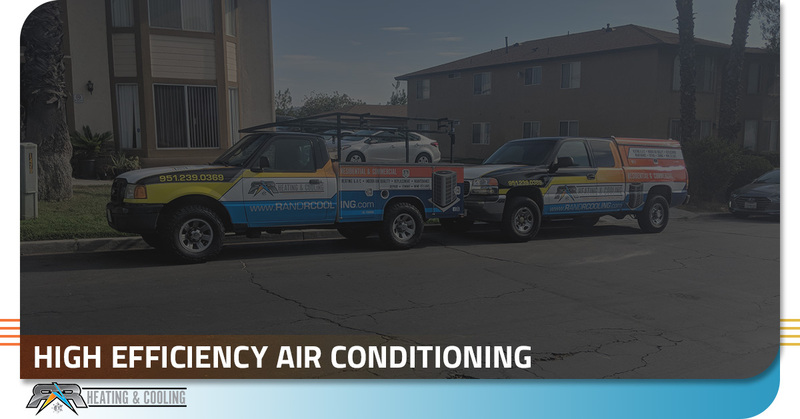 Enjoy The Benefits Of A High-efficiency Air Conditioning System! Save money and energy with a new high-efficiency air conditioner in your home or at your business. You just can’t beat the performance of the newest high-efficiency air conditioners available in today’s market. Here in Southern California, these systems provide greater comfort, smarter operation, and savings in terms of both energy and money. 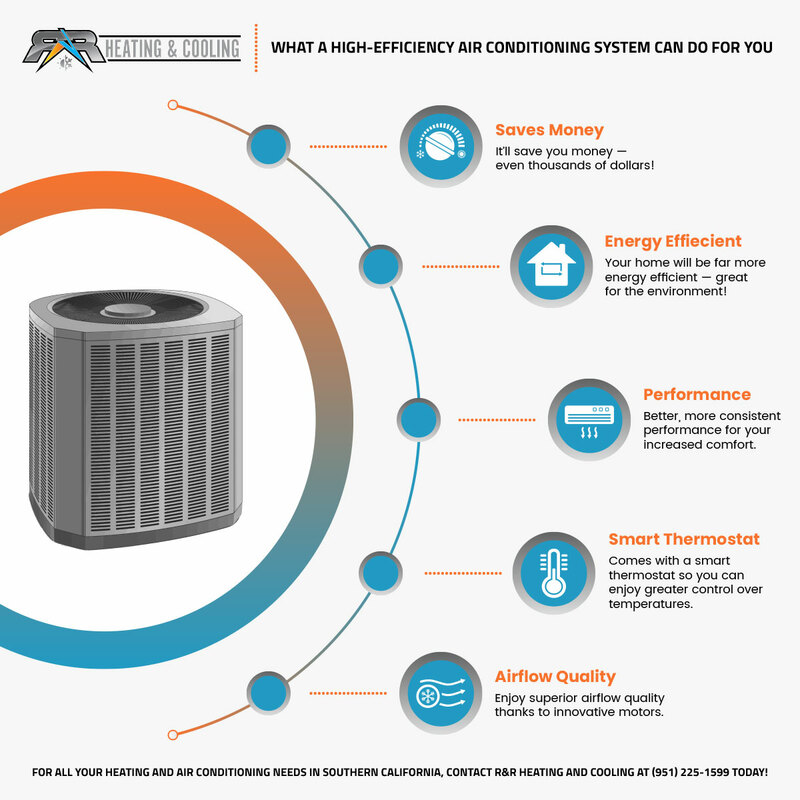 Contact us to learn more about these high-performing AC units! Ask us about our newest high-efficiency air conditioning systems! Money and Energy Savings. Replacing your older system with a high-efficiency one can be the difference between spending and saving thousands of dollars. Older systems operate around 65-percent annual fuel utilization efficiency and lose the remaining 35 percent. Newer systems offer over 90-percent efficiency, which is great for both your wallet and the environment. Your energy consumption will be significantly reduced, and your savings will add up month after month. Ultimate Comfort. Thanks to modern technological advancements, these systems easily maintain your home’s temperature at levels you and your family find most comfortable. They offer consistent airflow and control humidity levels as well, improving your indoor air quality. We bet your current HVAC can’t do that! Smart Thermostats. 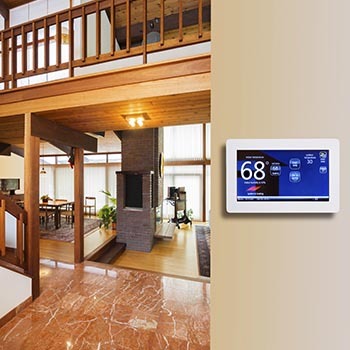 Imagine having ultimate control over your home’s temperature down to the room and the minute. The rooms on the side of the house that face the sun all day inevitably get a bit warmer, but now you can give that side of the house a little extra cool-down period with your smart thermostat. This device is also a great choice for those who plan to be away from home for set periods of time. Superior Airflow. New, innovative motors can ensure consistent airflow through the entire home or business. The end result is better-regulated temperatures, purer air, and mold prevention. Want to learn more about our high-efficiency systems? Please reach out to us today. We’ll assess your current system, provide a quote, and get to work on giving you the clean air and comfort your home needs. Since we work all across Southern California, and we install a number of high-efficiency units every month, we can give you the information you need to make an informed decision. Whether you live in a more coastal community, like Dana Point or Irvine, or you live in one of California’s many inland communities, like Temecula or Murrieta, a high-efficiency unit can work well for you. Regardless of where you reside, it’ll save you on monthly utility costs, and you’ll enjoy the greater comfort it’ll deliver for you and your family. Got questions about how these units work and how much they cost? Give R&R Heating and Cooling a call! We’ll be happy to address any questions you may have. Our goal is to help you find the HVAC solutions that will work best for you. Reach out to our HVAC company today with any questions you may have.